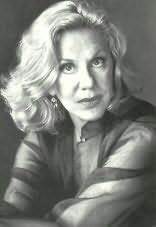 Erica Jong, award-winning poet, novelist, and essayist, is best known for seven bestselling novels and her midlife memoir, Fear of Fifty. She is a former president of the Authors Guild and frequent lecturer on women's rights, authors' rights, and free expression both here and abroad. She lives in New York City and Connecticut. "One of the first and best feminist novels ever written." "Marge Piercy is one of the most important writers of our time." "Heartbreakingly funny. Julia Cameron is a writer who writes from the heart. The real thing is always good news. Pass it on." "Lillian On Life is a quirky book with a very deep heart and soul. I found it full of life and full of wisdom."